People in the Temagami, Ont., area are on evacuation alert and being told to be ready to leave at a moment's notice. A forest fire has put people around the northeastern Ontario community of Temagami on evacuation alert, with residents being told to be ready to leave at a moment's notice. 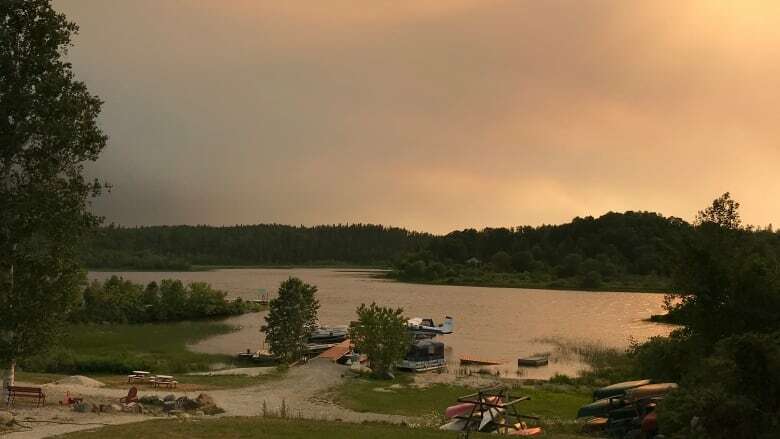 The fire that was sparked by a lightning strike Sunday southwest of the town has already seen the forced evacuation of 20 homes in Temagami Shores, about 100 kilometres north of North Bay. An evacuation of nearby provincial parks, including of Finlayson Point and Marten River, has also occurred. Dan O'Mara, acting mayor of Temagami, said the town has declared a state of emergency and has opened the arena in Temagami North for anyone who needs a place to stay. People don't know what to expect, he said Monday morning. "I think one of the issues last night was there was a fair amount of kind of a white, smoky haze in the community," he said. "And some of the seniors, we were concerned about. And we had people out just checking in and making sure that everybody was fine." 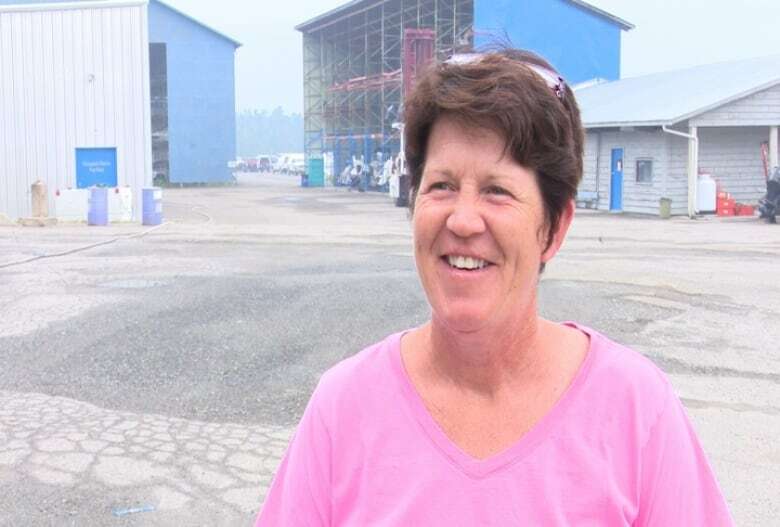 Kim Krech, co-owner of Temagami Marine on Inlet Bay, said a fire broke out Sunday about two kilometres from the business. "Right now we are in an evacuation. We are not supposed to be here but I have to look out for my livelihood." She said the Ministry of Natural Resources and Forestry set up sprinklers on all their buildings and fire crews from Temagami and Cobalt were wetting the property around it. "I'm very scared by I'm trying to stay calm," says Krech. "Not just our livelihood but those who work for us. It is a big part of Temagami." Daniel Thompson, who owns Gramp's Place, a bait and tackle shop along Highway 11 south of Temagami, said "most people booted it for home yesterday." "Since they were camping in the area, a lot of people left." Marten River and Finlayson Point provincial parks were both evacuated Sunday. Smoke from the fire is visible at Mowatt Landing Cottages, north of Temagami. Owner Trevor Graydon has offered his cottages to people leaving from any active fires in the area. "It is so smoky in front of my house, and I'm 30 kilometres from the fire," he said. ​The OPP and nearby local fire departments have been working with the ministry to beat back the fire. "The situation with the fire itself looked good [Sunday] night," said O'Mara. "The concern this morning is the wind and to try and maintain that. I guess there is a concern that depending on which way the wind's blowing [it] could add other issues this morning." Residents of Temagami could be asked to leave if conditions worsen, the OPP said. The ministry says the fire, started by a lightning strike, is now approximately 25 hectares in size. Highway 11 is open, but provincial police are asking people to avoid the area because of smoke. They say the highway could close at any point if visibility becomes an issue.